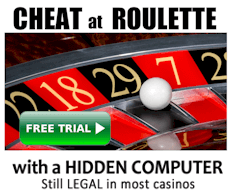 Is Betvoyager No Zero Roulette Better That Single 0 European Roulette? Betvoyager is an online casino that provides “no zero roulette”, which basically means there’s no house edge during play. 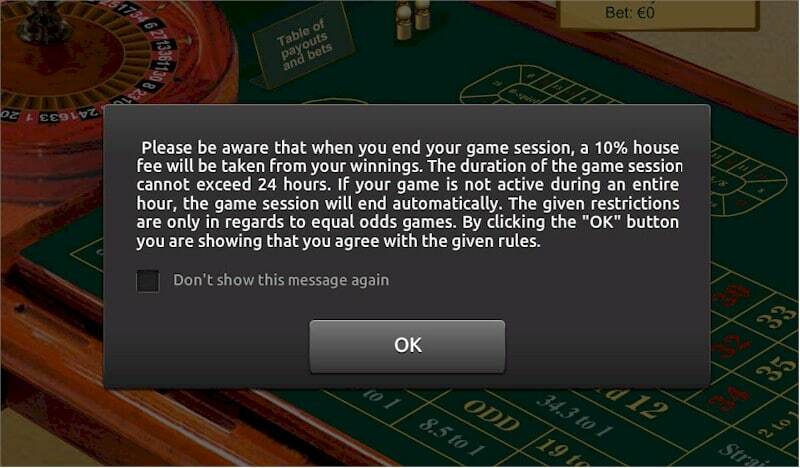 So during play, you are on equal terms with the casino. They profit by taking 10% of your winnings. The short story is you are better off with Betvoyager’s no-zero roulette, compared to single zero roulette. This page explains the details and math behind it. Click here to play Betvoyager No-Zero Roulette. But first, it’s important to understand the odds and payouts of typical roulette, which are explained at www.roulettephysics.com/roulette-bets-odds-and-payouts/. For the purposes of explanation, we’ll call typical roulette “single 0 roulette”. We’ll consider two situations: one with European roulette with single 0, and the other with Betvoyager no zero. And in both cases we’ll start with $1000, and bet $100 on red for each spin. So you half the time you lose $1000, and half the time you profit $900. So in this simulation, the house edge for typical single 0 roulette is -2.70%, and for Betvoyager no zero roulette is -5.00%. Basically because you pay 10% of your winnings back to Betvoyager, the “house edge” with no zero roulette is almost double that of single zero European roulette if you play in the short term. The calculations are based on the wagered amounts. A Betvoyager player could bet $1,000,000 and just profit $1. This would make their “calculated edge” almost zero. But if a player wagered $1,000,000 on single 0 roulette, they’d eventually lose everything. So this is a case where the “house edge” is not so easy to compare. So although Betvoyager may have “equal odds” games, the math needs careful consideration when it comes time to withdraw winnings. Keep in mind they are a casino, and they’re in business to profit. 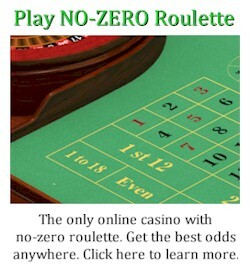 But what they have with “no zero roulette” is not exactly “no house edge”. The game itself may not have a house edge. But the fee on winnings is like a tax. And the effect is similar to the house edge, where the casino always wins in the long term. Consider two players starting with $1000 bankroll. One plays on “no-zero roulette”, and the other plays “single 0 roulette”. The bankroll of the “single 0” player would gradually erode until there’s nothing left. That’s because there are 37 numbers but the payout for wins is only 35-1 (basically the payouts are unfair). The “no-zero” player could theoretically play forever and only break even. Their bankroll would not erode at all. Of course in real life, the ups and downs of their bankroll will occur, and the downs may be large enough to make the player go bust. But besides that, their bankroll would remain much the same in the long-term. The only time the player would lose money is after winning. It sounds contradictory, but that’s how it works. So is Betvoyager no-zero better than single zero roulette? Yes, assuming you play a significant amount of spins. Betvoyager claims to provide players with a rock-solid way for players to verify game outcomes are fair and random. They do this by allowing you to download an encrypted zip file containing the spin outcomes that will occur in the future. Then after the spins have occurred, they give you a password to check the winning numbers. However, it is still possible for one password to decrypt one file, but not another. So multiple passwords could be used. I’m not saying Betvoyager is doing this. They already have an in-built advantage with the 10%, so wouldn’t need to cheat. I’m just saying their fairness control is not acceptable proof of fairness. The only acceptable proof of fairness should be certified fair random by a modernized gaming authority. Recently a number of new forum members started spamming links to Betvoyager, claiming they were forced to do so as a condition of being paid by Betvoyager. So their winnings were being held until they posted spam to promote Betvoyager. It may not be Betvoyager’s intention to incite spam, but that’s what their terms are doing. Generally affiliate programs prohibit spamming or similar forms of unethical promotion, but it is unclear whether or not such a term exists for Betvoyager. Especially as a forum admin, I don’t approve of this promotional method particularly if there’s no “anti-spam” rule. 1 out of 3 times: You are correct. You get back your wagered amount PLUS TWO dollars. 2 out of 3 times: You are incorrect and lose $1. So if you played 3 games, you are paid $2 once ($2×1=$2), and lose $1 twice ($1×2=$2). So if you have guesses with 1 in 3 accuracy, then you wont win or lose anything. You’ll just break even. 1 out of 3 times: You are correct. You get back your wagered amount PLUS ONE dollar. Pay close attention to the red text and think about it. The odds of winning haven’t changed. What’s changed is WHEN YOU WIN, YOU ARE PAID AN UNFAIR AMOUNT. And that’s exactly what the “house edge” is. It’s something you really shouldn’t ignore. And to take it one step further, consider that you can’t change the “payouts” the casino gives you. But you CAN change the “ODDS OF WINNING” with some strategies. For example, card counting can give you a better idea of what card will be dealt next. So you can base bet size on the expectation that you are more likely to win. And roulette computers use physics to predict where the ball will land, with enough accuracy to IMPROVE THE ODDS OF WINNING and therefore get an edge over the casino. These types of strategies are called “advantage play” by casinos specifically because they give the player the “edge”. Now compare that to most gambling systems, which don’t even give any thought to predicting spin outcomes. Or the method they use doesn’t at all change the “odds”, like expecting after 10 reds in a row will make black more likely to spin next. In fact most roulette system players don’t even bother to test if their method of “bet selection” even changes the odds! Bringing this all back to Beytvoyager, what they’re doing is like removing one cup, keeping the payouts the same, but then taking a large cut of whatever you win. It’s much the same thing as “single zero roulette” where the casino pays you less than what’s fair. So really it’s still a house edge, repackaged in a different way. Still it’s much better than most casinos. Betvoyager only provided RNG games, without any real roulette wheels. So basically they’re all slot machines, and there’s no real prospects for professional advantage players. The exception is if you exploit their random number generator, which may be possible depending on the source of their RNG spins. Betvoyager still has a “house edge”, but it’s quite different to single zero roulette. When you do the math, you can see if you play a low amount of spins, Betvoyager’s house edge is significantly higher than single 0 roulette. However, long-term play is a different matter. Simply the more you play on Betvoyager, the lower the house edge becomes. 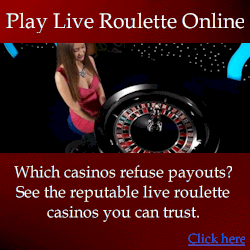 Basically if you play a lot and purely for fun, Betvoyager is a better option than single 0 roulette casinos. But if you play professionally, you still aren’t going to profit in the long term on Betvoyager because their “equal odds games” involve random number generators – not real roulette wheels. And there’s no solid way to predict RNG outcomes (unless you exploit the RNG, which is a different story). They are licensed in Curacao, but not always is a license a guarantee of fair games. Before wagering real money at any casino, it is best to check reviews and complaints throughout the Internet. Every casino has both good and negative reviews, but you can’t always trust them. Positive reviews can be published by casino staff, and negative reviews can be published by competing casino staff. Often negative reviews involve a casino’s refusal to payout. These are the complaints you should focus on. Usually a payout refusal occurs because the player accepted a deposit bonus, and didn’t read the terms and conditions which have wagering requirements. So if you attempt withdrawal without meeting the requirements, it’s normal and expected for the casino to refuse payouts until the conditions are met. Generally we advise not accepting deposit bonuses for this reason. Generally, every casino has both good and bad feedback. It’s just a fact of any business. Betvoyager is no exception. Especially if you are wagering large amounts, it is wise to carefully research at least to see if the casino has reasonably attempted to resolve any open disputes with players.